Losing an Audi LMP1 team last year and faced with announcement of Porsche withdrawal from the FIA World Endurance Championship, FIA and Automobile Club de l’Ouest (ACO) accelerate the evolution process of the world’s major sports car racing series and announced big changes for the next year and future after that. Starting with the transitional season 2018/2019, the FIA World Endurance Championship will have a completely new look, based on the 24h Le Mans race as the final race of the season. The championship will also introduce many new technical changes. The plans have been presented to Jean Todt, the President of the FIA, and the FIA Endurance Commission led by Sir Lindsay Owen-Jones. The calendar and new sporting regulations will be presented to the FIA World Motor Sport Council for ratification. 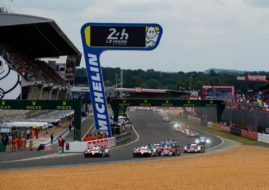 In the future, seasons will be expanded over two calendar years, finishing at Circuit de la Sarthe with the 24 hours of Le Mans as season’s finale. The season 2018/2019 will be transitional and unique, with two editions of Le Mans 24 Hours. The big news is also a return of the Sebring 12 Hours to FIA WEC calendar, for the first time since the inaugural FIA WEC season in 2012. That event will be a combined event with the IMSA WeatherTech SportsCar Championship event but two separate races will be held.